In the seventies in Italy, there emerged a subsection of horror films called giallo. These films were bunched together because they all seemed to revolve around grotesque torture to women who always seemed to be losing tops in the process. The events of the films were usually stylized and heightened. There was also just a ton of blood everywhere all the time. But one of the most striking characteristics of giallo horror was how they were able to scare viewers by manipulating sound. Most voices were dubbed (a common practice in Italy at the time) giving the narrative a disjointed feeling. Add to that creepy sound effects, warps, and tons of screaming and you usually got an eerie nightmare of a movie. 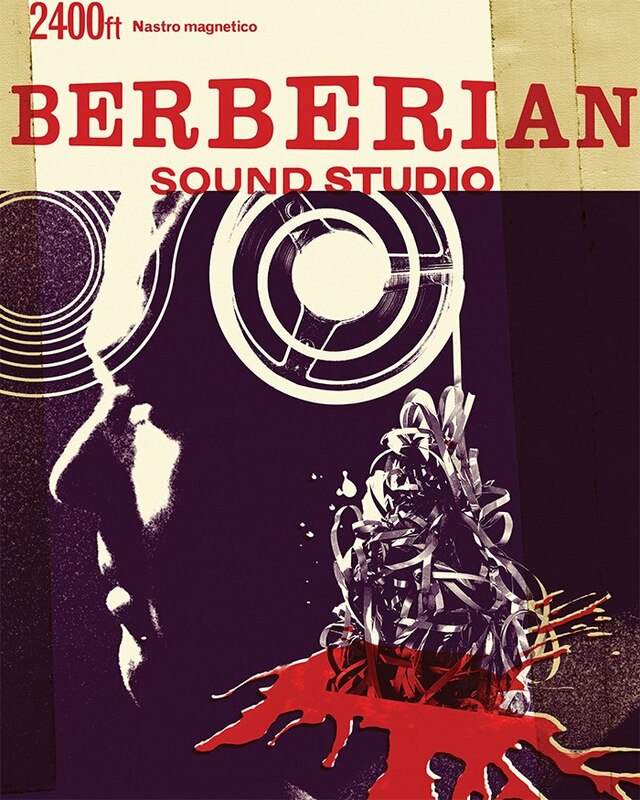 Berberian Sound Studio plays with this aspect of giallo filmmaking while producing a completely modern and tense psychological thriller. Toby Jones plays Gilderoy, a reserved English sound engineer at the height of giallo filmmaking. He is enticed to Italy to work on a film that he thought was an equestrian drama. It turns out that it is a low rent giallo picture with grand aspirations. Once he arrives, something seems off about the situation. The producer is overtly rude to him, making him work long hours not just making sound effects but also recording the dialogue and screams. The main actress warns him cryptically to stay as far away from the director and producer as possible. The director is a large presence that looms over the whole movie but is ultimately the producer’s lap dog and completely ineffectual. As he continues production, Gilderoy becomes unhinged, having vivid nightmares and becoming convinced someone is watching him. The actress walks out in a rage, only to be replaced by another similar sounding actress. Gilderoy looses control and becomes just as manipulative as the producer is to his subjects. It is important to note two things: we never see the outside, and we never see the images from the actual movie. We only hear the dubs, the screams and the vicious watermelon smashes that are actually heads rolling. We are stuck inside with this man who is slowly becoming insane by the situation he is forced into. We see only his work and his assistants work. This close scope creates a claustrophobic atmosphere that makes one uncomfortable as the events of the film unfold. You are left with no grounding perspective, no remoteness. You can’t understand why he wakes up in the middle of the night to a knock, only to find out he was being filmed freaking out. As a viewer you just want to get out. You don’t want him to figure out what is going on, solve any type of mystery. You just want him in the bright sunshine of Italy. The movie never gives this to you. Instead you become paranoid yourself. This is added to Gilderoy constantly replaying the watermelon scene and the scream scene in his head constantly. Just as when you think it is getting quite, you see the first actress’s head and hear that ear-piercing scream she emits just for kicks and giggles. This experimentation with sound is a major aspect as to why this film is eerie. Knowing that it is just watermelon, doesn’t make the scene where he watches two men smash watermelons on the ground any less creepy. By the end the manipulation of sound even becomes a part of how he communicates and manipulates the people around him. This film was really good, but it wasn’t great. For some reason by the end of the movie, I felt nothing for the character anymore. It seemed like they were pushing the giallo influence a little too much with that ending. It was surface and unnecessary. That being said if you are interested in thrillers, this film is a great way to kill an afternoon in an enjoyable fashion.